... Like a headless chicken these past few days. As many of you have heard me bitching and moaning about over on twitter, apartment hunting in NY is the worst. I know a lot of it is out of my control, but I can't help but have vivid nightmares about it nearly every night. I'll leave you with this calming picture of a finished cappuccino at La Colombe. I've always loved the La Colombe in Philadelphia but this was my first time at the SoHo location here (meeting fellow blogger Kelly!). I loved the tiger maple wood tables there. 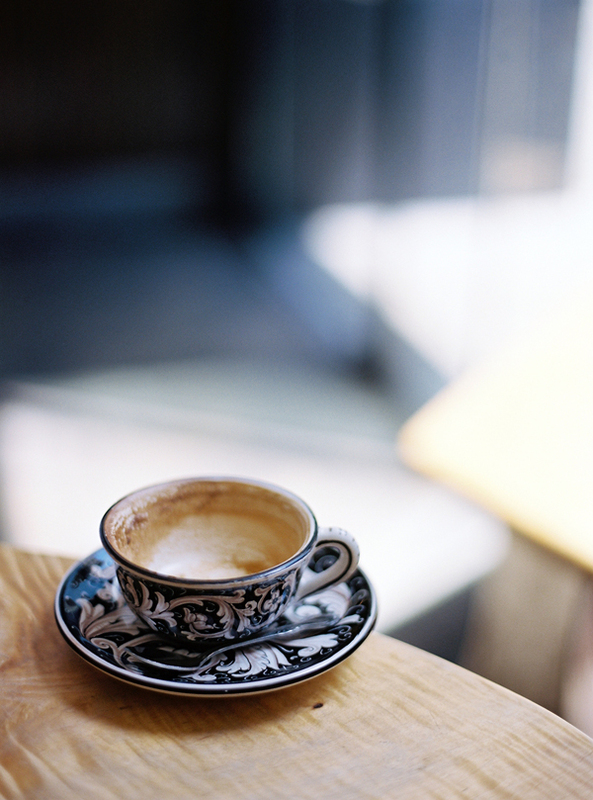 Give me a pretty wooden table and a cup of coffee and things start perking up. Such a pretty cappuccino cup! Looking for an apartment is so stressful- good luck. pretty! this design looks more homey than what you typically see in coffee shops; i love it. i prescheduled your appearance on my blog tonight too! mm that is a very soothing picture. good luck w/apt hunting! Love that table! De-stressing with booze is mostly a good idea, until you wake up. What's your drink of choice? accidentally found your blog and I love the colour tone of your photos, especially the result from manual camera. I thought I recognized that cup! Bridge and I chanced upon this exact cafe on our last visit to NY. Fantastic espresso!